Welcome to he All That Scraps 6th Anniversary Blog Hop! I am so excited you could join us. All That Scraps is a fabulous place to find all your stamping/scrapbooking needs. 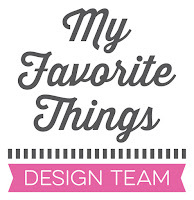 I'm very proud to be part of this design team! To celebrate this birthday, the ATS DT is doing a blog hop. If you join in, you can win a $25 gift certificate to All That Scraps. That’s great, isn’t it? To have a chance to win this giveaway, please visit all the blogs from the list and leave a comment on each one. You have until this Saturday to hop and qualify for the prize. If you have arrived here from Mary’s blog your are in the right place. If you didn’t you can start the hop here. Here is my project - a side step card - using the Balloon Peep, the C.C. Cutters Tulip Border Die and the AmyR Love Always Sentiments from All That Scraps. If you have already visited each blog, I’m the last stop on the hop! If you just happened on my blog you might want to go to the ATS Blog and start from there. I hope you enjoyed all the fantastic projects you saw on the hop. Thank you for taking the time and stopping by. I'll be back tomorrow with another side step card. Have a fun and creative day! Hallo Francine, was für es mega süesses Chärtli. Dä Stämpel isch schnuggig, d'Gstaltig genial, jetzt weiss ich endlich wie ich mini Ballön isetze chan :-). Deine Karte ist echt toll geworden! Wenn da nicht der Frühling mal um die Ecke schaut. Wow, this is fabulous! Love all the details! This is just a gorgeous anniversary card! Happy birthday to ATS! Such a wonderful card..Love all the details..
oh this card is Gorgeous!!! I love the side step layout and all the detail you used on your creation! Oh comme elle est belle cette step card, j'adore ! Bisous, j'espère que tu vas bien ! And a wonderful blog hop !! i love everything ab out this! super pretty! Such a cute and cheery card! I absolutely love that image and what you did with it! Thanks so much for sharing! Happy 6th Birthday ATS! This card is fabulous!! I need to learn how to do this! What a fabulous scene, this is so adorable. I love it. what a great card! so bright and springy!! and love the dimensions! thanks for sharing! I love all the fun, bright, spring colors. Darling step card and cute image!! This is so beautiful!!! I love the fence with the tulips.. and the grass! Its a perfect card!! Just perfect! Love the bright colors! Beautiful card! Very cute side step card. I like your coloring and all the little details. Great use of the stairstep card! Wow awesome step card...love the vivid greens. Eine traumhaft schöne Karte hast Du da gebastelt, sieht wirklich wundervoll aus! Danke für Euren Blog-Hop und die Chance, zu gewinnen! Beautiful creation! I like tulip die cut. And rainbow. Love this side step card and the scene you created is just fabulous! Was für eine hübsche Idee mit dem Regenbogen im Hintergrund und dann noch die vielen bunten Luftballons... ich bin ganz hin und weg!!! Rhooo que'elle est mignonne ! Wowsers! Great fold, colors and ... everything! I believe I just fell in love all over!!! Your card is just wonderful!! vraiment chouette, ce style de carte ! Très original !